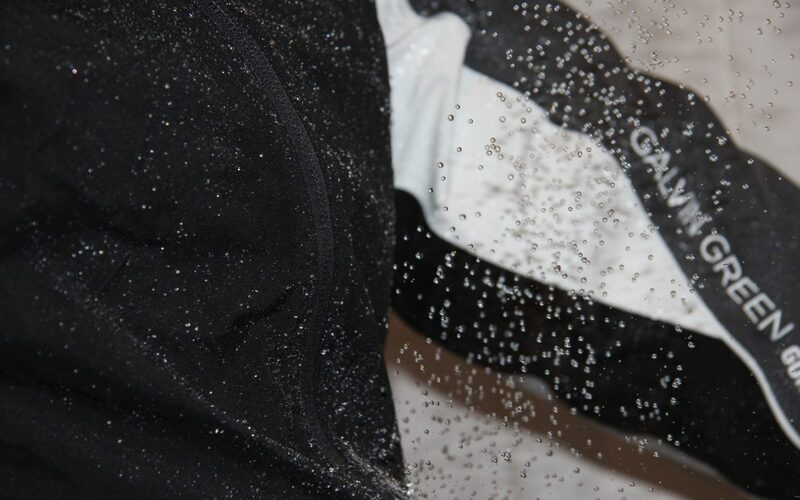 This post was written by Alexa Hammer for her Hammer & The Links section of the site. She is a student at the University of St Andrews, sharing experiences as she travels the world! 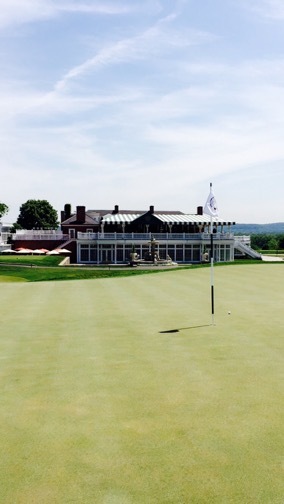 After landing in Newark, our first stop was The Old Course at Trump National Bedminster in Bedminster, New Jersey. This course was added last minute to the schedule, but was an add-on we definitely could not complain about! All the other big names to be played later on the trip had preoccupied my focus, but after I played only the first three holes I knew I would absolutely love the next fifteen. 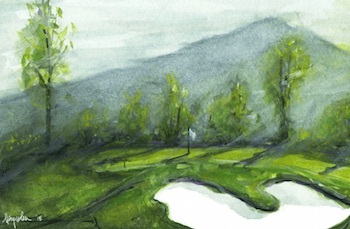 My favorite strip was the last four holes, which made for a demanding finish. 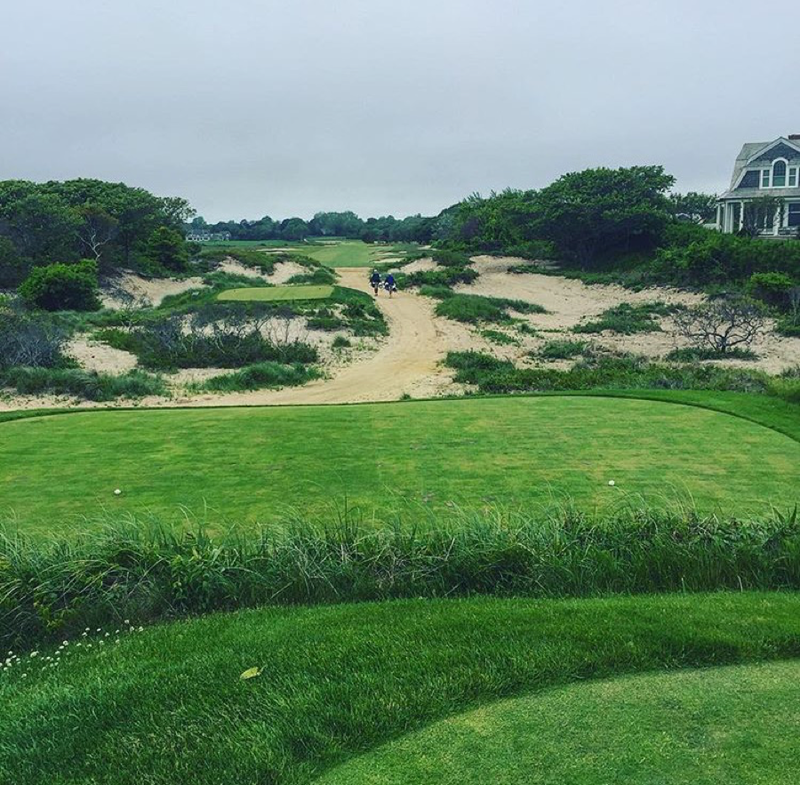 After the round in New Jersey, we made our way to Long Island and played Maidstone Club in East Hampton. Even though Maidstone is not as well known as National or Shinnecock, it was one of my favorites of the trip. The beginning and ending holes seem separated from the rest of the course in between. The first few and last few wind around a lake and are separated by a bridge. 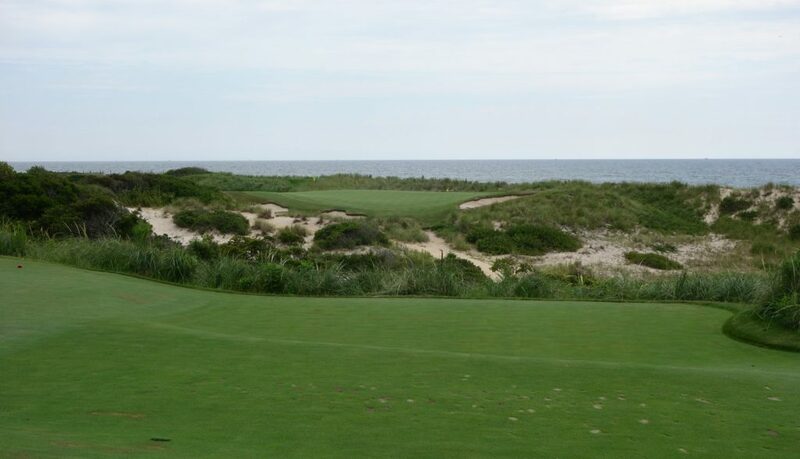 The middle 12 holes, on the other side of the bridge, are best described as a beautiful dunes adventure beside the Atlantic Ocean. Maidstone proved to be very unique in many aspects. 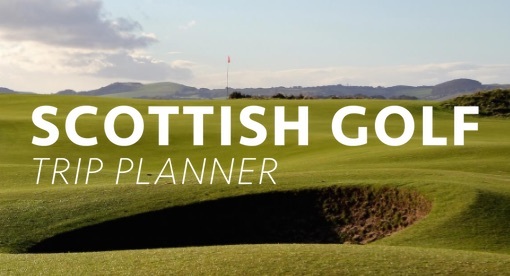 One standout aspect is a five-hole stretch, holes 12 to 16 (par 3, 5, 3, 5, 5), that does not include a par 4 and allows for three par 5’s to be played in a span of four holes! The course’s par 3s also stood out to me, especially hole 14. This par 3 only 148 yards from the back tee is short, but deadly. 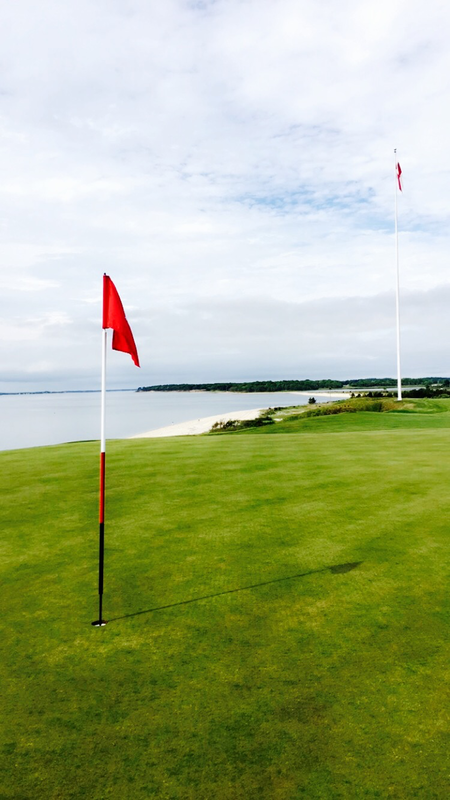 Its small green looks even smaller once you step foot on the tee and feel the strong ocean wind in your face. 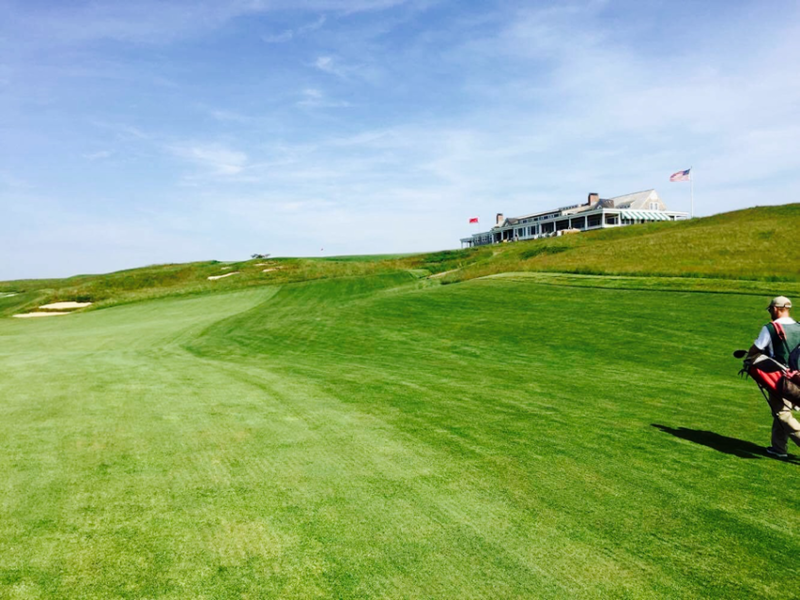 National Golf Links of America, in Southampton, was our next stop. National was difficult to not fall in love with. Many aspects of the course made me feel like I was back in Scotland! 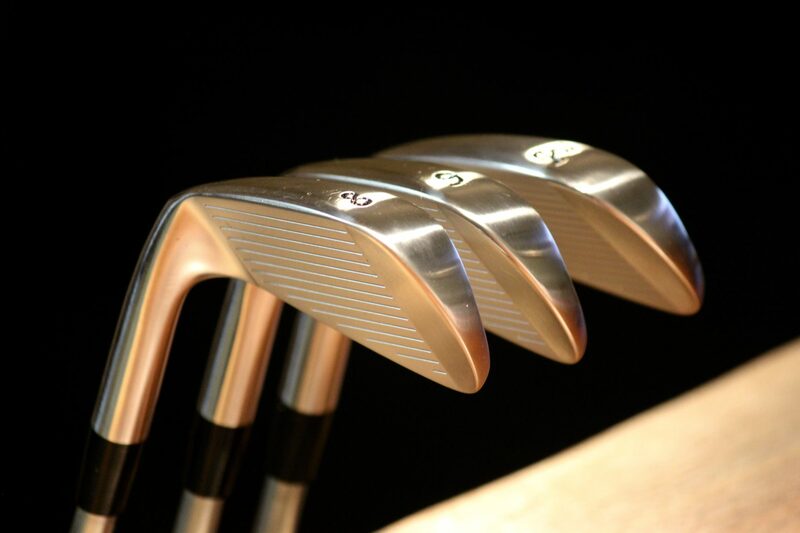 The last three holes are three holes I would never get bored of playing over and over again. The par 4 16th has the iconic National windmill to the left of the punchbowl green, which I had a blind second shot into. The par 4 17th offers the best view of the entire course from the tee and is nicknamed “the second Sahara” for a reason. It is one of the shorter par 4’s on the course, but definitely is not any easier with the excessive amount of bunkers you must avoid. The 18th is a long, uphill par 5 with a view of the bay to the right of the hole. The following day we took on Shinnecock Hills Golf Club, also in Southampton. Shinnecock lived up to its reputation as a course that has hosted four U.S. Opens and will host another in 2018. It is a big course and a big test. The hip-high fescue lining the fairways made hitting fairways crucial in order to have a chance at getting on the green in regulation. 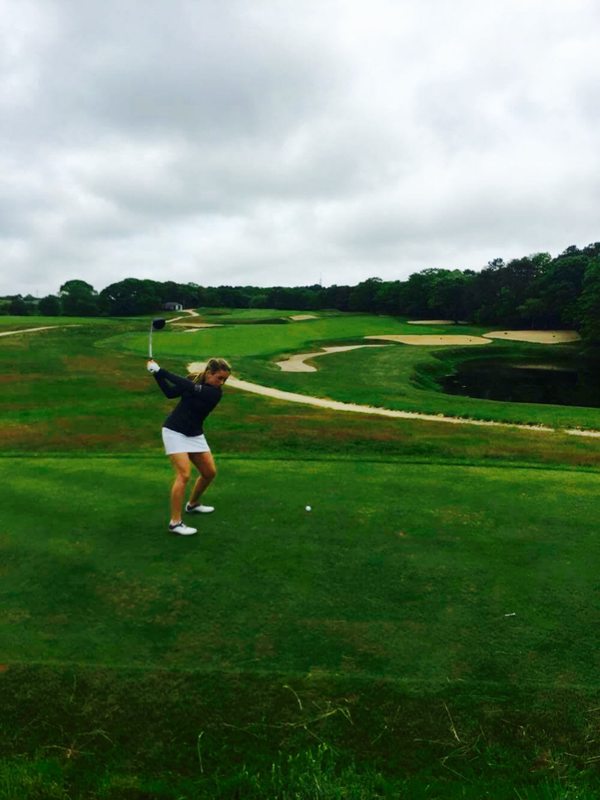 We continued our journey to Rhode Island and spent the next few days at Newport Country Club. Newport, another founding club of the USGA, was founded in 1893 and was the host to the first US Open and the first US Amateur Championship in 1895. 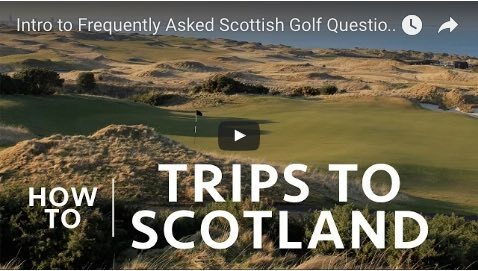 We were fortunate enough to be able to play three rounds there, which allowed us to get to know the course better than all the rest we had played previously. It was a very special experience to spend this time at such a historic club! Our last stop was the The Country Club at Brookline in Boston, MA, our final charter club of the USGA to be played on the trip. The Country Club was the location of the famous 1913 U.S. Open where young amateur Francis Ouimet defeated major-winners Harry Vardon and Ted Ray in an 18-hole playoff after the three way tie at the end of 72 holes. Ouimet became the first ever amateur to win the U.S. Open, which was all depicted in the novel and movie The Greatest Game Ever Played. The Country Club was a fantastic course to play and conclude our golf tour. 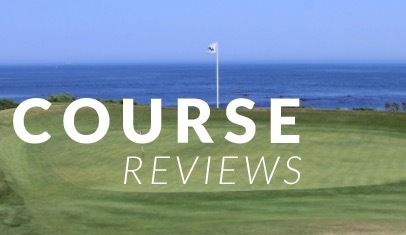 These eight days introduced me to six courses that I had never played before. The months of anticipation, excitement, and high expectations were exceeded. It was another trip of a lifetime, all thanks to the Saints Golf program! Alexa we are so glad you had a great time. What a nice job you are doing writing about your adventures. 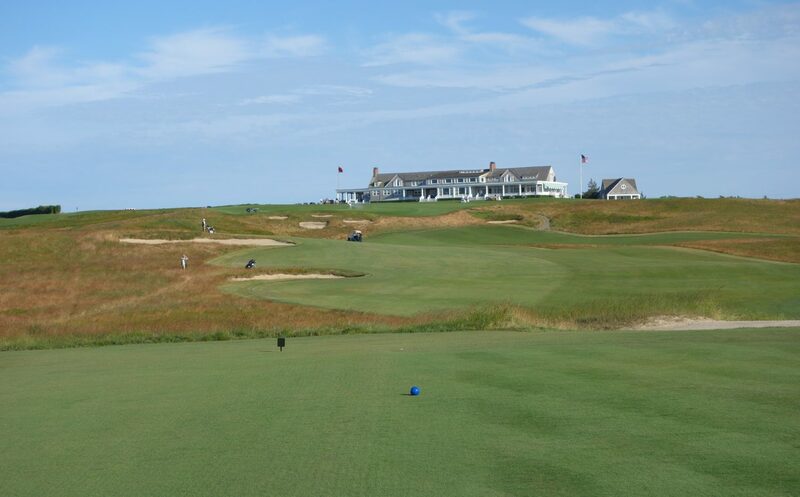 Playing the three courses on Long Island is a treat very few people get to sample. The Country Club and Newport Country Club I have played several times. Too bad you didn’t get a chance to play Wannamoisett in East Providence, R.I.. A gem of Donald Ross design built in 1898. 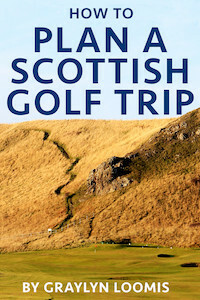 A great trip for lovers of golf and golf history. Hopefully one day I can get out there! Thanks for the recommendation! Just ran across this link of yours and enjoyed reading about your trip when you passed thru Long Island. I am trying also to watch the Back of the Range episode with you and your dad but I only get the audio so far. Will keep trying. My former colleague Bob Weaver told me about that one. Hope all is well at St Andrews.